A C++ framework for distributed Big Data computations with emphasis on high performance and a convenient interface like Apache Spark or Flink. Patched vncrec for frame-perfect high-resolution screencasts. Automatically import key=value experimental RESULTS into SQL tables and generate plots from them. Text editor with transparent strong encryption, useful for password lists and more. Convenient C++ interface to execute child programs connected via Unix pipes. Example of using GNU flex and bison in a C++ program. Additionally to maintaining STXXL, we also developed a bulk-parallel priority queue for EM. Experimental implementation of eSAIS and DC3, two suffix and LCP array construction algorithms for external memory, using STXXL. 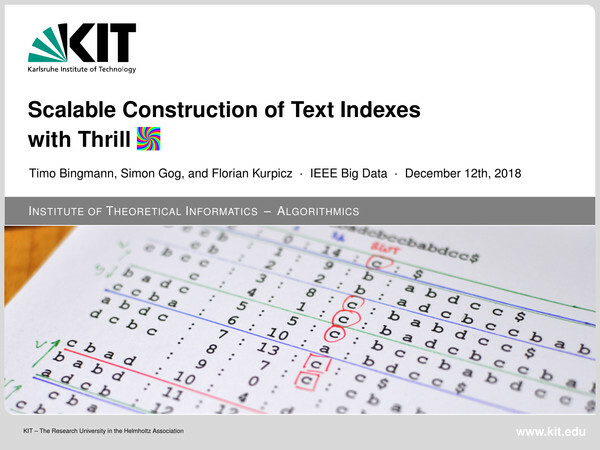 Today, I gave a presentation of our paper "Scalable Construction of Text Indexes with Thrill" at the IEEE International Conference on Big Data 2018 in Seattle, WA, USA. 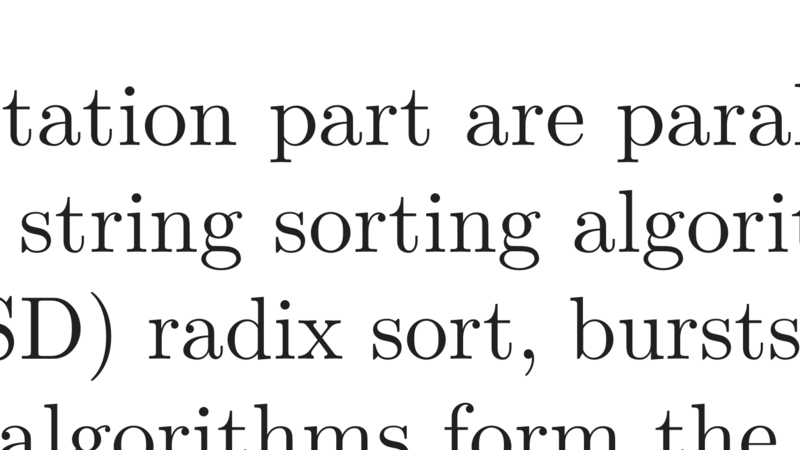 or refer to the longer version in my dissertation on scalable suffix array construction. 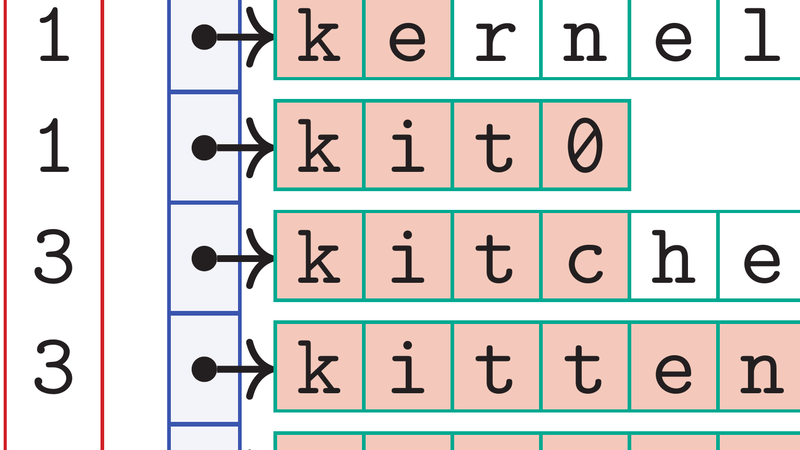 The suffix array is the key to efficient solutions for myriads of string processing problems in different application domains, like data compression, data mining, or bioinformatics. 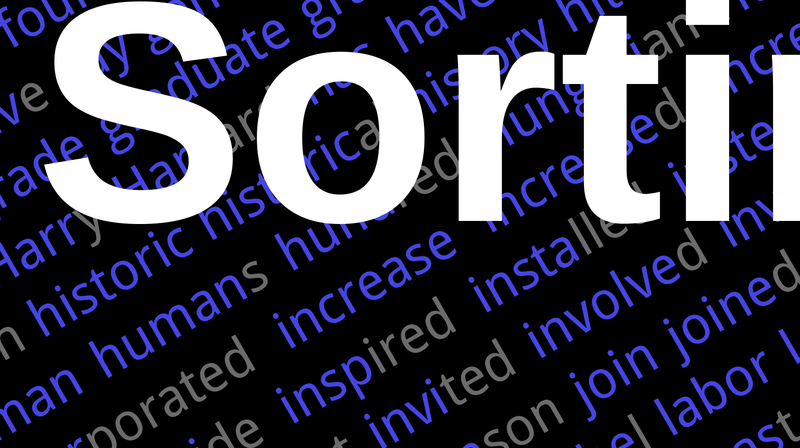 With the rapid growth of available data, suffix array construction algorithms have to be adapted to advanced computational models such as external memory and distributed computing. 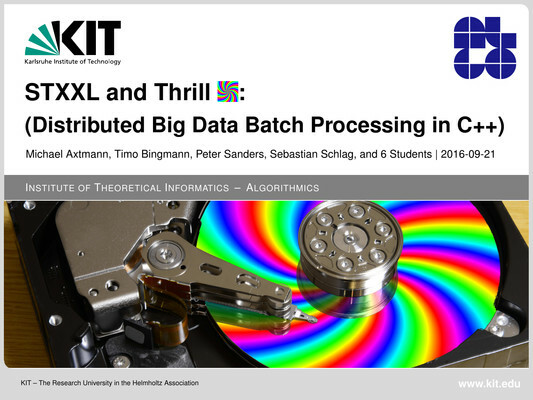 In this article, we present five suffix array construction algorithms utilizing the new algorithmic big data batch processing framework Thrill, which allows scalable processing of input sizes on distributed systems in orders of magnitude that have not been considered before. and IngramSpark, which is the self-publishing branch of Ingram. Disclaimer: these are my experiences, yours will probably be different. And I hope print-on-demand quality will improve further in the future. Below are macro photographs of the various print proof and other copies I received from the publishers. The photographs were taken with a Samsung Galaxy S9 smartphone with a (cheap) macro lens. Hence the colors and blur in the photos should be considered with caution, but the sharpness and detail level is sufficient for some discussion. TL;DR: Amazon&apos;s print proof from the USA has the nicest print and color, but they only produce paperback covers. 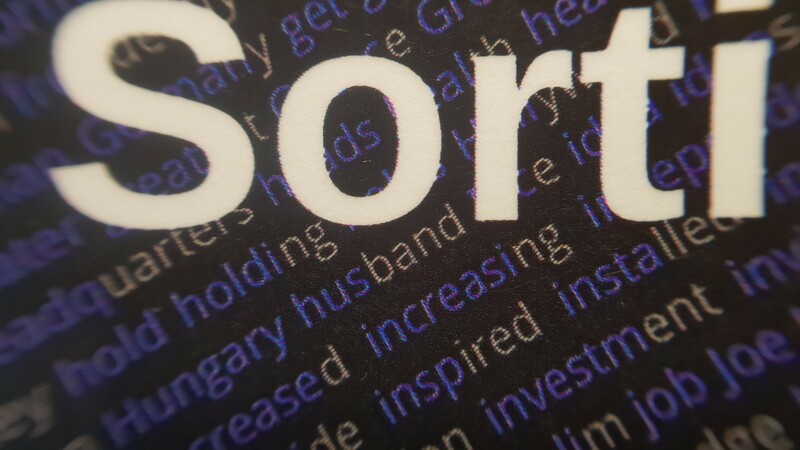 IngramSpark&apos;s prints are second best, have a lower resolution, but they produce hardcovers and consistent quality. Uploading the PDF to Amazon CreateSpace is straight-forward due to the convenient web interface. The Amazon CreateSpace print proof was manufactured in Lexington, KY, USA, it was shipped three days after ordering, and arrived eleven days after ordering. For an international shipment from the USA to Germany that is a very acceptable delivery time. The print quality of the Amazon Print Proof was in my option the best. 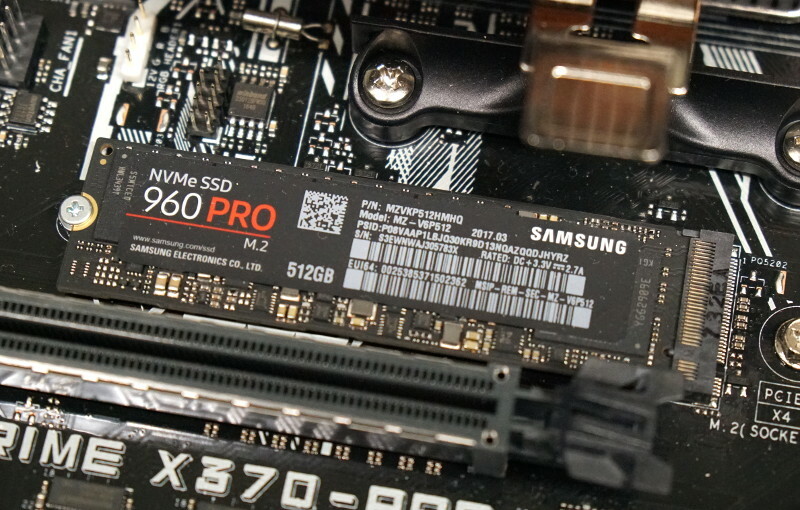 It has the highest resolution, bright colors, and solid black. 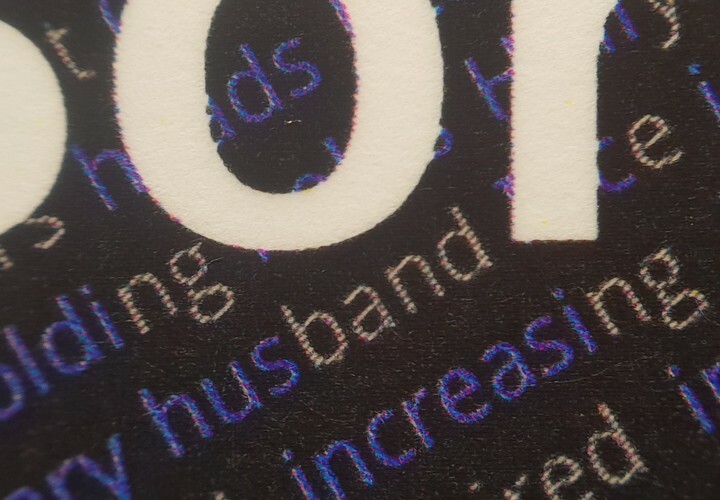 The paper and entire book has the feel of high-quality color laser printer output. Sadly, they the only produce paperback softcover books and I preferred a hardcover. On the plus side, publishing via Amazon gives you a free CreateSpace-ISBN and it is immediately listed in the world-wide Amazon catalog. As a comparison to the printed books, the pictures above show the same excepts rendered as a bitmap image. Note that the layout of the words in each cover image may differ, because each cover needed to by typeset individually to the individual specifications of the publisher. 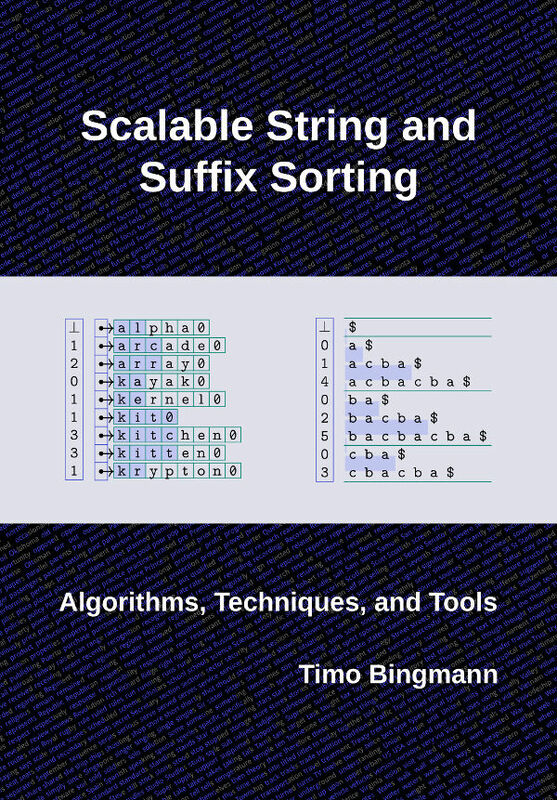 Dissertation "Scalable String and Suffix Sorting: Algorithms, Techniques, and Tools"
The road to a Dr. title (PhD in the Anglo-Saxon world) is often long, rough, and twisted. First you have to do original research, produce novel results, publish articles, and then write and ultimately publish a dissertation. Defending your research in the dissertation in front of a panel of professors is one of the final milestones on that journey. On July 3rd, I successfully defended my dissertation at the Karlsruhe Institute of Technology and the dissertation text has now been published as a book. 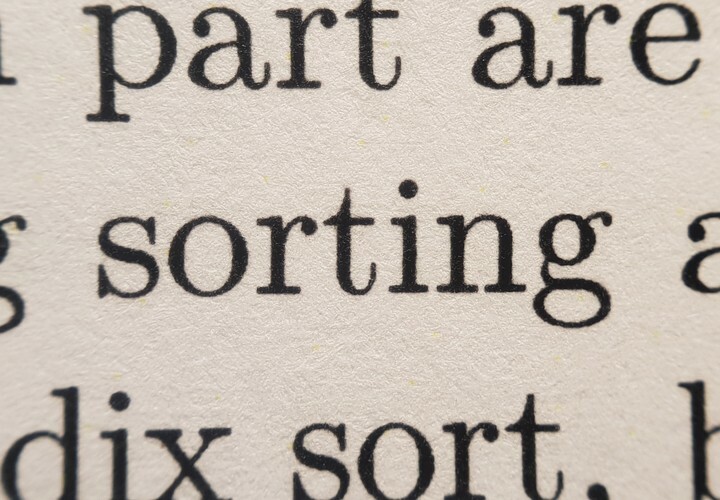 My final dissertation PDF is available here: dissertation-Bingmann-Scalable-String-and-Suffix-Sorting.pdf . It has also been published at the KIT library, on arXiv:1808.00963, and finally as a print-on-demand paperback from Amazon. 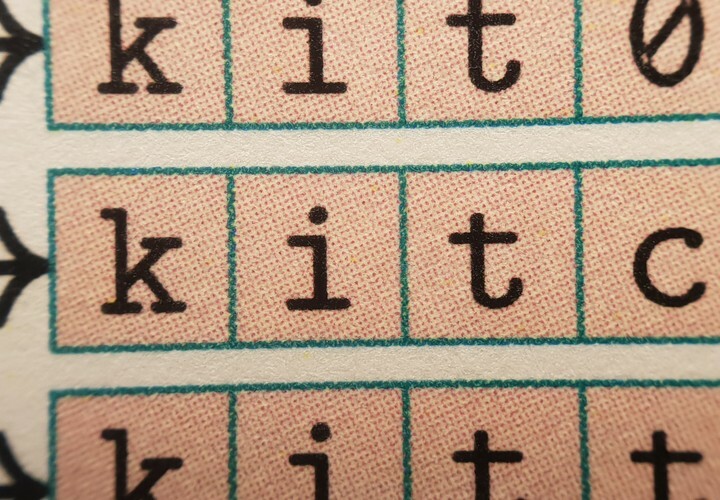 The published book cover&apos;s background shows a list of most common words in the Wikipedia. 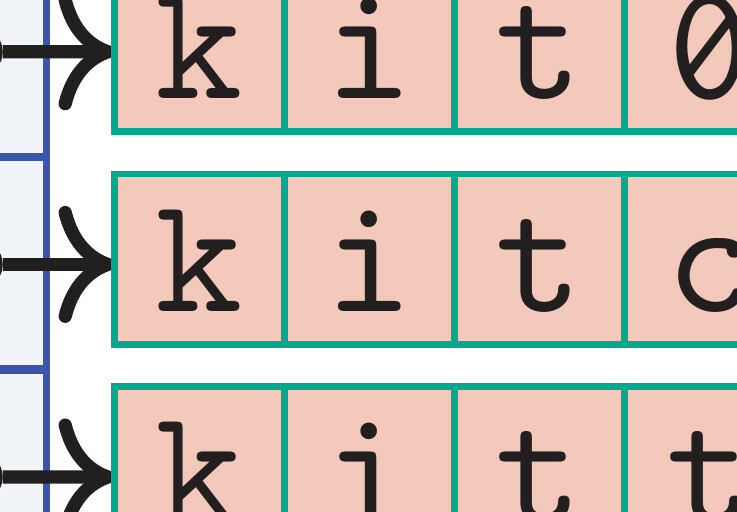 The words are sorted and their distinguishing prefix is marked in blue. The cover is available as a double-page PDF: dissertation-cover.pdf , and as front and back separately: dissertation-cover-front.pdf and dissertation-cover-back.pdf . The LaTeX source code for my dissertation is available for download: dissertation-source.zip (791 KiB). 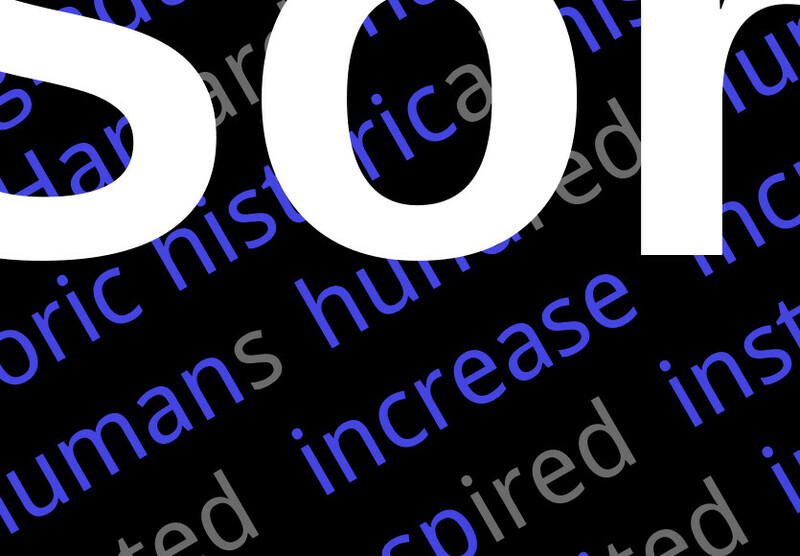 The complete text is in one .tex file, all figures (except the creative commons logo) are generated from the LaTeX code. The slides of my presentation during the defense are available for download here: dissertation-defense-slides.pdf . The presentation was only part of the whole defense. My actual slide set also had almost 200 more backup slides, which however were collected from all the other talks already available on this homepage. These backup slides helped greatly in the examination question after the presentation. Last year on February 19th, I started a new github repository called tlx with the goal of de-duplicating code from three projects: Thrill, STXXL, and a private project. The idea came up after a STXXL code workshop in Frankfurt (fashionably called hackathons nowadays). simple but vital std::string manipulation functions missing from the STL. The initial reason for tlx to come about was to consolidate all the bug fixes to the loser tree implementations that I had scattered across the three projects. 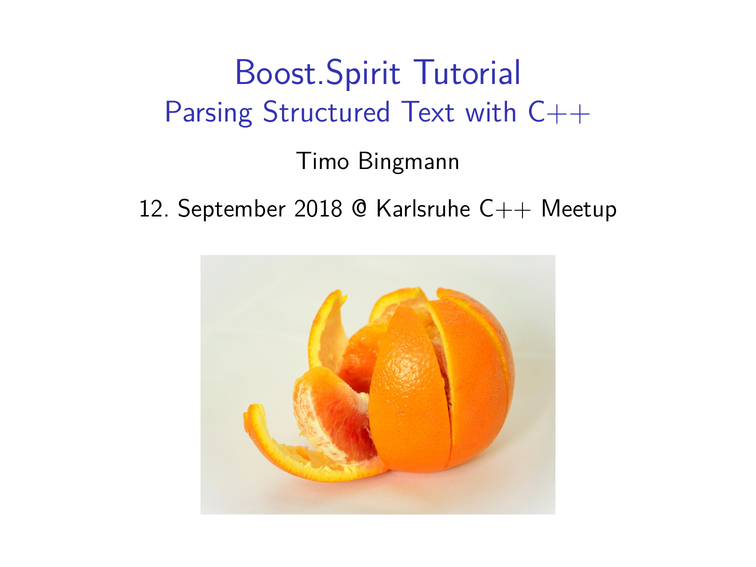 Efficient multiway merging is such a fundamental task and there was no universally available C++ library that implements the tournament tree well. 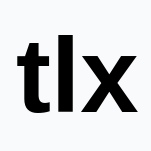 A long search for an appropriate vacant user account with three letters on github lead to "tlx". This is definitely a good C++ namespace name, but to this day, it is unclear what the letters stand for. Template Libraries for CXX? The missing Library for CXX? Template Library and more eXtensions. Have your pick, someday someone will find a good official expansion. To have a library of well implemented and tested advanced algorithms and things missing from the C++ STL. Target high modularity with as little dependencies between modules as possible. Only have compile time configuration (no platform dependent checks). Compile on all platforms with C++ -- smartphones, supercomputers, windows, maybe even embedded microcontrollers. Keep overhead down -- small overall size such that is can be included without bloating applications. Collect code only under the Boost license, which one of the most liberal licenses and can be used any project. The fast tournament (loser) trees from MCSTL by Johannes Singler, with many fixes. A fast intrusive reference counter called CountingPtr, which has considerably less overhead than std::shared_ptr. 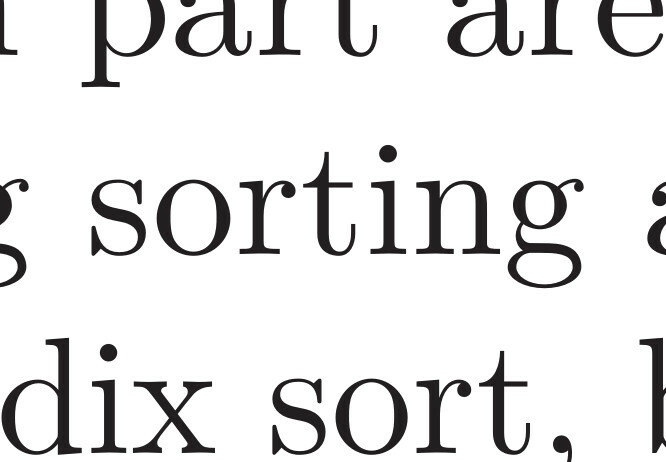 Efficient and fast multiway merging algorithms from Johannes Singler, which were previously included with gcc. The tlx version has many fixes and is available for clang and MSVC++. Many string manipulation algorithms for std::string. An improved version of my stx-btree implementation, which is basically always a better alternative to std::map (but not std::unordered_map). 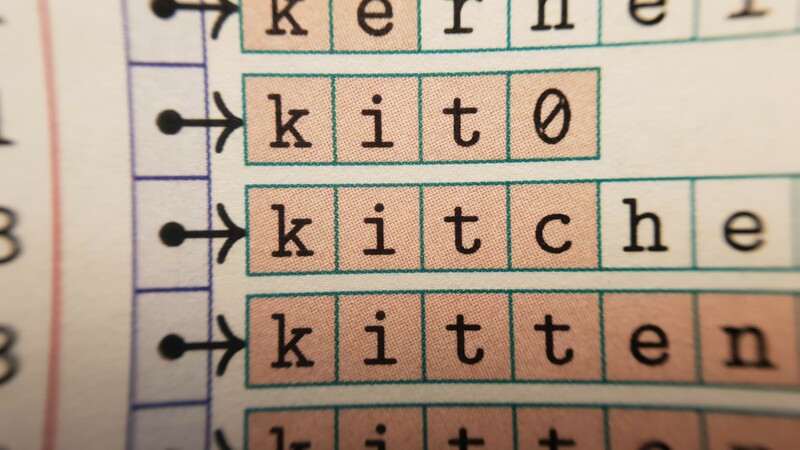 A copy of siphash for string hashing. 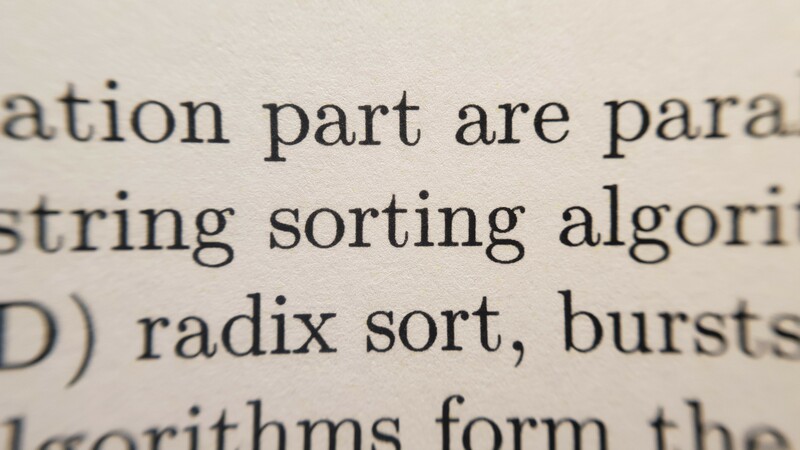 Efficient sequential string sorting implementation such as radix sort and multikey quicksort (described in length in my PhD thesis). 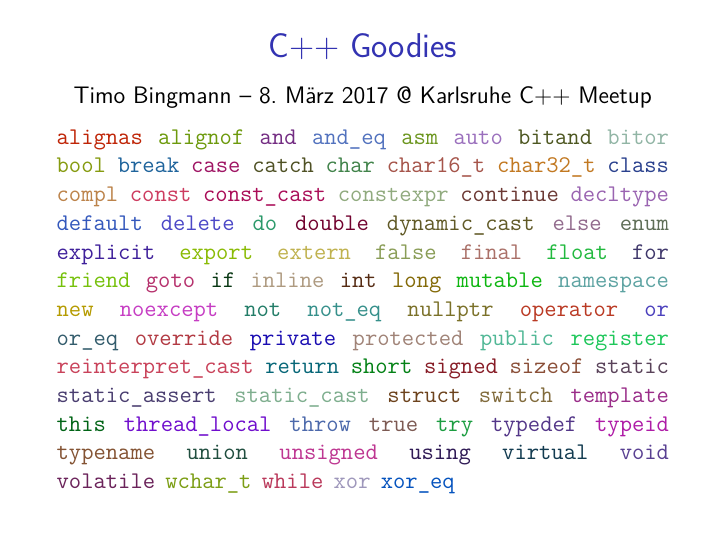 are available in a github repository https://github.com/bingmann/2017-cpp-goodies. 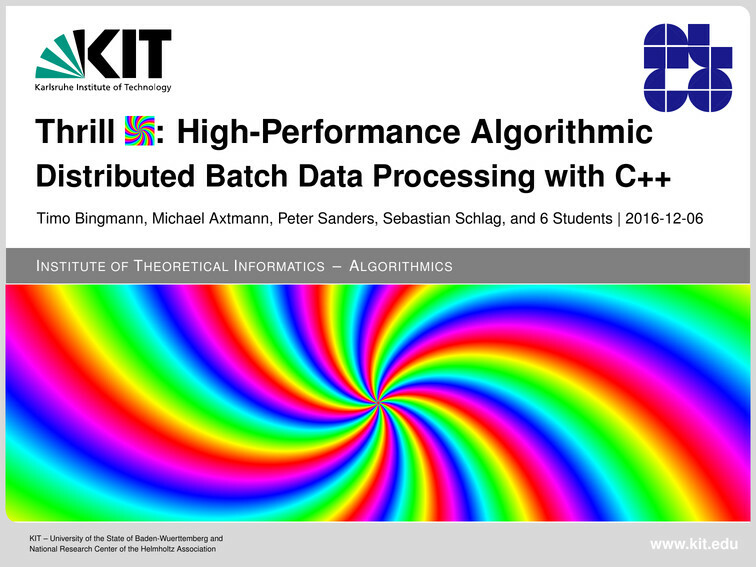 Today, I gave a presentation of our paper "Thrill: High-Performance Algorithmic Distributed Batch Data Processing with C++" at the IEEE International Conference on Big Data 2016 in Washington D.C., USA. An extended technical report of our paper is also available on this website or on arXiv. These slides contain additional figures which are useful to understand the DIA operations in Thrill, along with many extra design slides omitted from shorter talks.